Why don’t the Councils use ozone instead of chlorine to treat our reticulated water? In 1993 the city of Milwaukee (US) suffered the largest outbreak of waterborne disease recorded in history. It was found that the parasite (cryptosporidium) remained healthy even after soaking for 24 hours in bleach (concentrated chlorine), whereas ozone gas destroyed the cyst in less than 10 minutes. 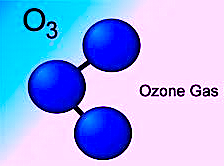 Within 5 years 260 cities had changed to ozone systems. Wineries are using it to disinfect their oak barrels. Commercial swimming pools are using it instead of chlorine for clarity and clean smell. No doubt Australia will soon move in the same direction as Councils can afford to do so.